Why don't you go ahead and let this one sink in. Bask in it, if you will. We'll wait. The unprecedented view was recently released by scientists at Big Bear Solar Observatory in the mountains of East L.A. Imaged by the New Solar Telescope (aka the "NST"), the photograph is among the first to be captured by the NST's newly equipped Visible Imaging Spectrometer (VIS). 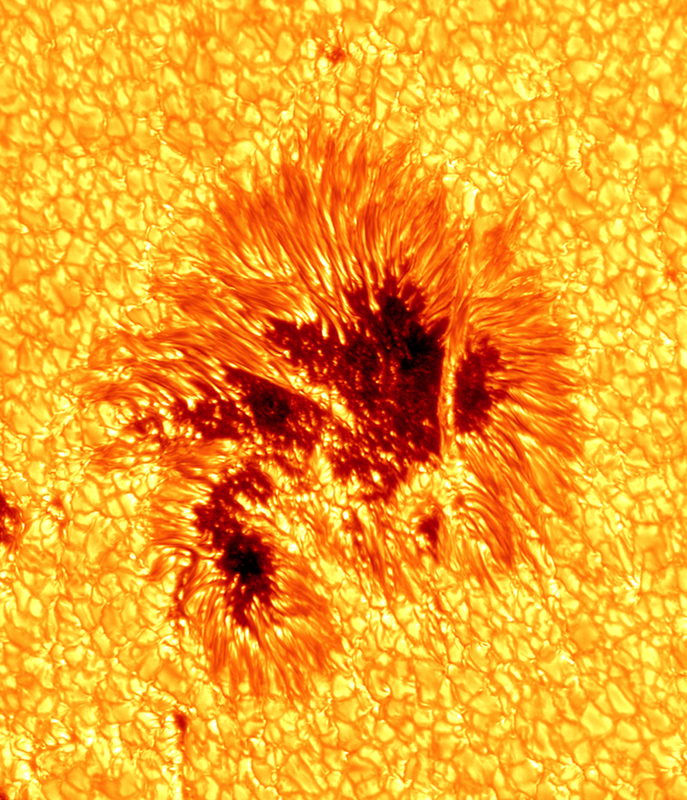 It is the new record-holder for most detailed sunspot ever obtained in visible light (the outgoing champion was also photographed by the NST back in 2010). The 1.6-meter telescope, despite its name, has been making observations for close to five years now. "With [VIS], the [layers of the] solar atmosphere from the photosphere to the chromosphere can be monitored in a near real time," said Wenda Cao, Associate Professor of Physics at the New Jersey Institute of Technology and BBSO Associate Director, in a statement. "With the unprecedented resolution of BBSO's NST, many previously unknown small-scale sunspot features can now be perceived," said Cao. In the image above, for example, researchers are particularly interested in the interface that connects the sunspot's dark core (the umbra) and the bright, petal-like tendrils of energy that surround it (the penumbra).